The most impressive thing about Kia’s new Sedona minivan is that it competes so effectively against contemporary competition like the Honda Odyssey and Toyota Sienna. What’s disappointing about Kia’s new Optima four-door sedan is that, while it’s better than any previous Kia sedan, it doesn’t make the big leap forward the Sedona has. The Japanese competition is still clearly better. 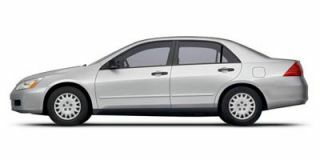 But before getting to the specifics here, what’s the deal with this car being sold as “2006.5” model? 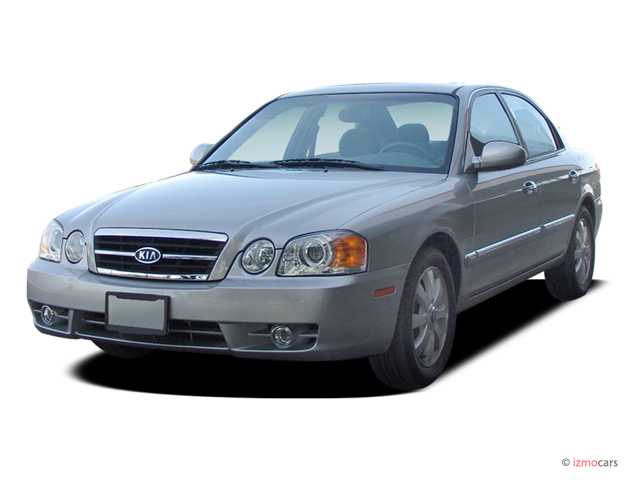 The Kia guys mumbled something about it having to do with when the car went on sale in Korea and certain legalities surrounding that… so it couldn’t be sold as a 2007 model. 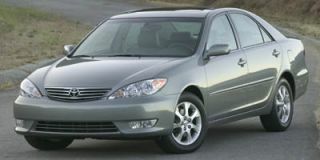 And they didn’t want it to be confused with the old-style Optimas that were sold as 2006 models. So they compromised on 2006.5. Yawn. They could have been at least a little bit creative. Couldn’t this car have been marketed as a 2006.74, 2006.63 or 2006.82? You know, just for fun? Built atop a new platform that isn’t shared with the Hyundai Sonata, the Optima comes from the Kia plant in Hwaseong, which the city fathers there daringly contend is a “pleasant city.” Not necessarily a unique city, but a pleasant one. That sums up the car too. Of course the city has 234,182 people in it. And the car is only rated to carry five. The car’s engineering couldn’t be more mundane. The structure is, naturally, a steel unibody. Of course the front suspension is a set of MacPherson struts and the independent rear suspension is a multi-link system. 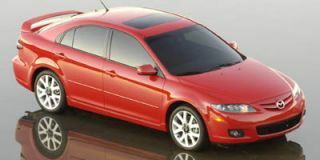 In base $16,355 LX form, the standard powerplant is a 2.4-liter four with DOHC heads and four valves over every cylinder. Drinking regular fuel that engine produces 161 horsepower at 5800 rpm which it then sends to either a five-speed manual or five-speed automatic transverse transaxle which in turn spins the front wheels. The steering is by rack-and-pinion, there’s a disc brake behind each of the four wheels, and the standard tires are P205/60R-16s on steel wheels. 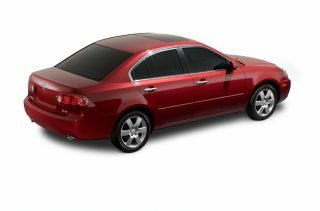 The Optima’s styling is conservative and tidy but well short of interesting; there’s some 2004 Camry in there along with touches from the 2000 Maxima and 1999 Mazda 626 and those headlights look like they were borrowed from an Altima. 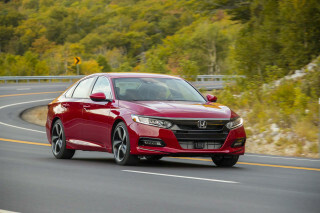 At 186.4 inches long overall on a 107.1-inch wheelbase, it’s 4.7 inches shorter than a current Accord sedan even though the space between the wheels is only 0.8 inches less lengthy. 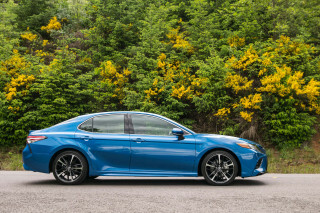 The cabin is just as conservatively and derivatively styled as the exterior, but it’s roomy and both side and side curtain airbags are standard on all models. An AM/FM/CD player with six speakers, power windows, power mirrors, air conditioning, and 60/40-split folding rear seats are all standard. Pay up for the automatic (with “Sportmatic” manual shifting) and cruise control, keyless entry, and a tilt/telescopic steering wheel incorporating audio controls come along in the $17,650 bargain. 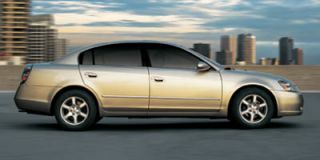 Beyond the base lays the better-equipped EX with the four or LX and EX models equipped with a 2.7-liter V-6. The EX four and both V-6s get the automatic transmission as standard equipment. The aluminum V-6 has a DOHC, 24-valve design, but output is a relatively modest 185 horsepower. Traction control, electronic stability control, and brake assist are optional in one bundle on all models except the four-cylinder LX. And most buyers will likely up for the appearance package, which includes a blacked-out grille and 17-inchers with P215/50R-17 Michelin tires. With the major Japanese competition now self-consciously styled to appear more upscale and avant garde, the Optima’s straightforward decoration can be seen as somehow refreshing — here’s a car that isn’t trying to be something it isn’t. On the other hand, it’s not very interesting. First, let’s dispense with the V-6 option. 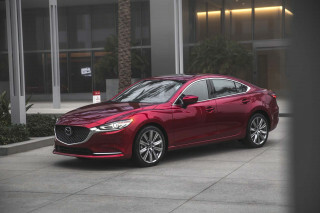 The 2.7-liter engine is creamy and smooth, but the additional 24 horsepower it offers over the four isn’t particularly perceptible in daily driving and the initial extra expense (the EX four starts at $19,395, the EX six at $20,400) and drop in fuel economy (the EPA says the four goes 24 in the city and 34 on the highway while the six can only manage 22/30) are significant. But beyond that, the four-cylinder engine is a good one; the torque production is good, it runs smoothly and in a normal driving environment it’s tough to imagine it proving itself inadequate. 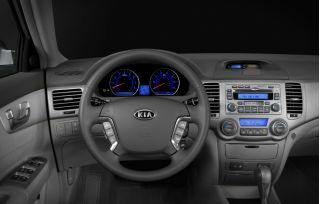 In fact the five-speed automatic and four-cylinder combination works so well that it’s a wonder that Kia has decided to offer a V-6 at all. Push the four hard — using the transmission’s Sportmatic feature does extract a bit more performance — and it hardly seems to notice that it’s being abused. The chassis is also very composed even if its limits aren’t particularly high. Even when wearing the 17s this isn’t by any stretch of the imagination a “sports sedan,” but it doesn’t haul itself over and wail in extreme understeer on every corner either. And the stability and traction control systems go about their jobs without being intrusive or mechanically annoying; they just keep the car from doing anything stupid. And if the car’s not doing anything stupid, neither is the driver. What the Optima lacks is much in the way of direct feedback to the driver. The steering is quick enough and accurate enough, but never particularly entertaining. And the chassis is always comfortable, but lacks the reflexes necessary to star amongst its peers. It maintains its dignity at all times, but never has much fun. What the Optima will — and must — sell on is value. Fortunately that’s still a Kia strong point. There’s just about as much rear legroom in the Optima as in the Camry and in some critical interior dimensions this Korean actually betters the Japanese competition. And there’s 14.8 cubic feet of cargo capacity in the trunk and a big opening to throw stuff in there too. Throw on the optional leather package to the EX and the result is a roomy, competent, easygoing everyday machine at a keen price. So what if the interior’s design won’t have Frank Gehry reconsidering his fundamental assumptions about architecture? 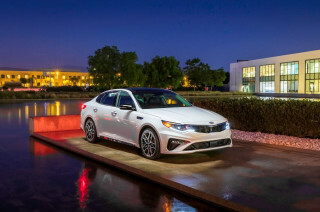 No, the Optima won’t have all the neighbors swooning in jealousy. And the valet parkers will shuttle it to the back lot to sleep with the rental cars and kitchen help’s heaps. 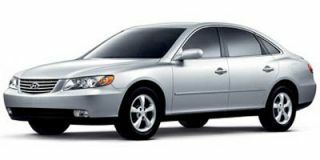 This car is a smart buy with an incredible warranty that stretches out well past the term of most purchase loans. And it seems well built. So it’s boring. At least it’s a cheap bore that will last a long time.